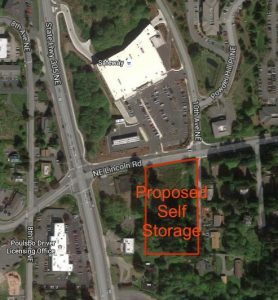 A Seattle self storage company is considering building a three-story self storage facility across the street from Safeway in Poulsbo. The city received pre-application materials this month for a 90,000-square-foot complex proposed at 927 NE Lincoln Road, between Highway 305 and 10th Avenue. Plans include office space and a caretaker apartment. Access would be from Lincoln and 10th. The applicant is Urban Self Storage of Seattle. A subsidiary of Urban Self Storage bought the 2.6-acre property from Union Bank in 2014 for $545,000, according to county documents. Company representative Travis Ameche said initial feasibility studies are underway for the Poulsbo site. Urban Self Storage also operates facilities near Keyport and on Bainbridge Island. 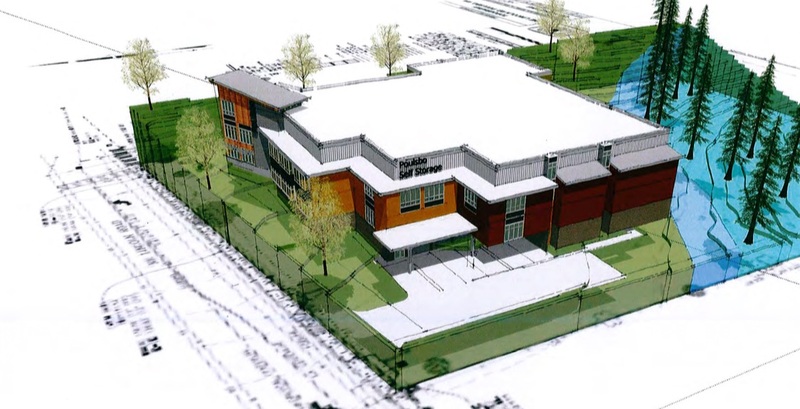 A pre-application conference for the Poulsbo proposal is scheduled for May 31. In other Poulsbo development news, ambitious plans for a Best Western hotel near Central Market have been dropped due to challenges, the architect for the project confirmed this week.